With years of experience, the water damage San Tan Valley team at 911 Restoration of East Valley knows exactly what you need to get your home back to its beautiful, cozy self in no time at all after a water invasion. Our offices are open at all hours of the day and night, so you never have to wait for help when you find yourself dealing with a water disaster. We respond to your emergency call as quickly as possible and offer same day service for non-urgent situations. After excessive rain storms cause floodwater to invade your property, homeowners can call the water damage San Tan Valley team and they will have help at their door within 45 minutes. San Tan Valley is known for having very hot summers and mild winters. Even though there is not a lot of precipitation in this region, homeowners are still at risk of experiencing water damage on their property. Since people living the area are so used to the dry climate, they are usually less prepared than they should be and leave their homes unguarded to moisture. With the land being so dry, when it does rain the soil and sediment can be especially porous around a building’s foundation, making it easier for waters to invade the home in the event that there is a storm. It doesn’t matter what time you need assistance, our mold removal San Tan Valley staff will always stick to our guaranteed time frame, because our water damage San Tan Valley technicians are available 24/7/365 in order to be at your beck and call. Our water damage San Tan Valley specialists want to be able to help you get out of any water disaster as soon as possible, and our mold removal San Tan Valley pros will get the process started by giving you a free home inspection. So, if you’re home or business is already awash in water damage from a ceiling leak or any other means, then contact the water damage San Tan Valley experts with 911 Restoration of East Valley today! Our water damage San Tan Valley experts can help with absolutely any kind of water damage problem you may encounter, such as pipe bursts, plumbing issues, toilet overflows, water heater leaks, washer bursts and rain leaks. When a pipe bursts, it can cause floods quickly, but they can also cause moisture to form in more hidden places, such as crawlspaces, behind walls and in ceilings. When water leaks go unnoticed the damage can lead to a host of more serious problems. Mold will also start to grow and spread in areas that have moisture, especially in Arizona’s warm temperatures. It is important to not try and clean up the mold yourself. Even though most homeowners are concerned with how mold makes their homes look, the main concern of our mold removal San Tan Valley specialists are more concerned with how it impacts your help. Our water damage San Tan Valley pros are qualified to thoroughly remove all instances of mold from your household, which our pros know will help make it a healthy living environment. Our mold removal San Tan Valley crews want you to know that prolonged spore inhalation can cause people to experience symptoms similar to allergies and respiratory issues. These health problems may include symptoms that mimic allergy-like symptoms and respiratory issues. 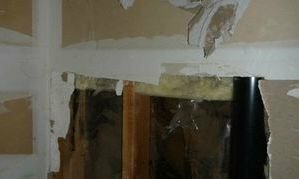 So, call our water damage San Tan Valley unit as soon as begin noticing any of these issues and our mold removal San Tan Valley operation will do whatever it takes to decontaminate the area and make it the ideal environment for you and your family. There are many ways to prevent water damage, and our water damage San Tan Valley techs are here to help you stop problems before they start. To protect your home the best you can, it is important to have pipes checked every year to ensure they are in good shape. Pipes can often rot over long periods of time, causing them to burst easily. Tree roots can also interfere with your plumbing by rupturing pipes underground. Sewage backups can be avoided by installing a sewage backup valve. These devices are easy to install and can prevent black and gray water from flooding your home. Customer service is extremely important to our mold removal San Tan Valley experts, so when you call our water damage San Tan Valley professionals while simultaneously dealing with floodwaters invading your home, our team wants to be there for you immediately. Our water damage San Tan Valley staff have service agents that are available around the clock to take calls and answer questions, so you can feel comfortable calling our mold removal San Tan Valley technicians at any time. If you need help filing your insurance claim our water damage San Tan Valley agents will do it all for you. With so many years of experience in the filed our mold removal Barrington specialists know exactly what information your provider needs to cover your damage. Our water damage San Tan Valley pros will fight to get you the best, affordable water damage remediation services available in your area. If you still experience flooding despite your preventative measures, we will help out in every way, including contacting your insurance company on your behalf. Our water damage San Tan Valley staff will file your claim and keep you posted on all pertinent information regarding your policy. Our mold removal San Tan Valley unit also consistently offers competitive prices, in order to help keep your out-of-pocket expenses low. So, when you discover a water-related emergency in your home do not hesitate to call the water damage San Tan Valley professionals with 911 Restoration of East Valley today!